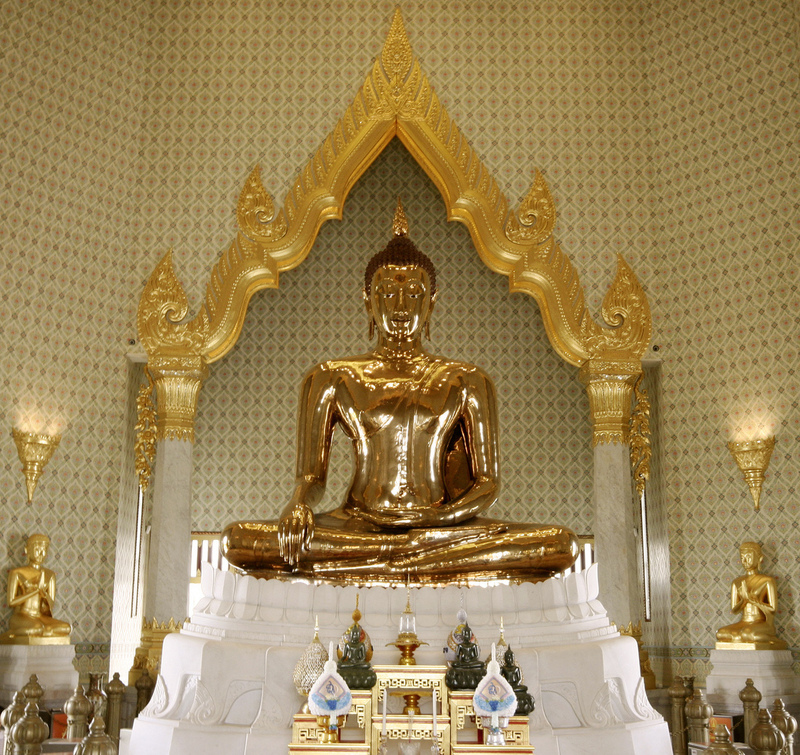 The world’s largest solid gold statue is a Golden Buddha that weighs 5.5 tons. It resides at Traimit temple in Bangkok, and was made some time during the 13th-14th centuries. The Golden Buddha was hidden for hundreds of years covered in plaster to prevent it from being stolen. In an attempt to move the statue in 1955, the ropes holding the statue broke, causing some of the plaster to chip off as it fell hard on the ground. The gold surface underneath was then revealed, providing evidence that beneath the plaster was gold. The body of the Golden Buddha is 40% pure gold, while the volume from the chin to the forehead is 80% pure gold, and the hair and topknot are 99% pure gold. The Golden Buddha is worth 250 million dollars.